Fishpool was struck with indignation recently when asked his or her opinion as to which is the world’s greatest batholith. Having rolled my eyes, I snorted my answer – it is the Cornubian, obviously, how could it be any other? Some 300 million years ago a vast granite intrusion formed in the area that is now South West England. The Cornubian batholith blistered up to form great rocky outcrops which remain to this day. The Isles of Scilly are a notable result of this geological process, as are, inland, the moors of Bodmin and the Dart. 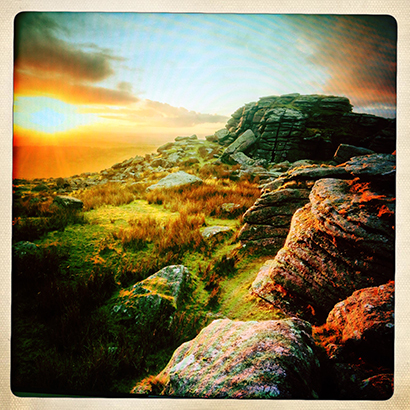 Dartmoor covers nearly 370 square miles of South and Central Devon, dotted with granite deposits known as Tors which reach a height of over 2000 feet above sea level. The wild, moorland habitat is a haven for wildlife, with rare birds such as honey buzzard and red-backed shrike both recently breeding and adders still relatively widespread. The streams that tumble off the high ground are rocky and fast-flowing – perfect habitat for brown trout. Rivers such as the Teign and Dart attract anglers keen to cast for wild fish in a largely unspoilt landscape. Opportunities for coarse fishing are limited but some rather special spots can be found for those willing to look. Among them is Beechmere, one of the most hallowed lakes of all.